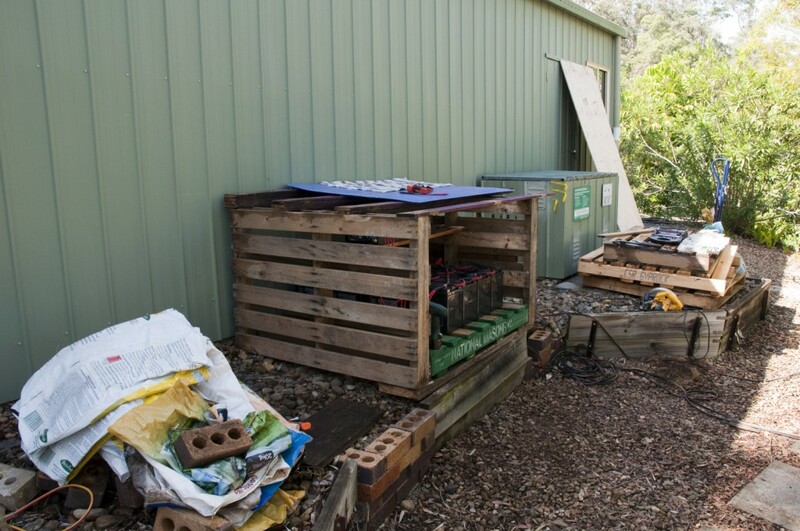 One of the major aims of our move to the Scenic Rim, was to be sustainable and self-sufficient. The house we now live in is 100% Solar, with battery storage, and diesel generator backup. So when we decided to move here we knew we would need more power, and most likely need to upgrade the system. 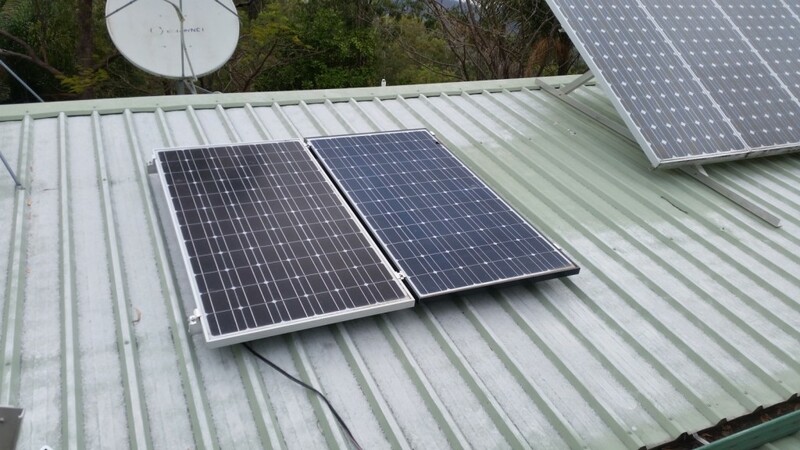 Prior to our move to Cainbable, we purchased a stand-alone battery-backup Solar system from “Chris” in Brisbane who was running his rented home, entirely from Solar Power. After purchasing the system, we set it up at our Brisbane Residence. 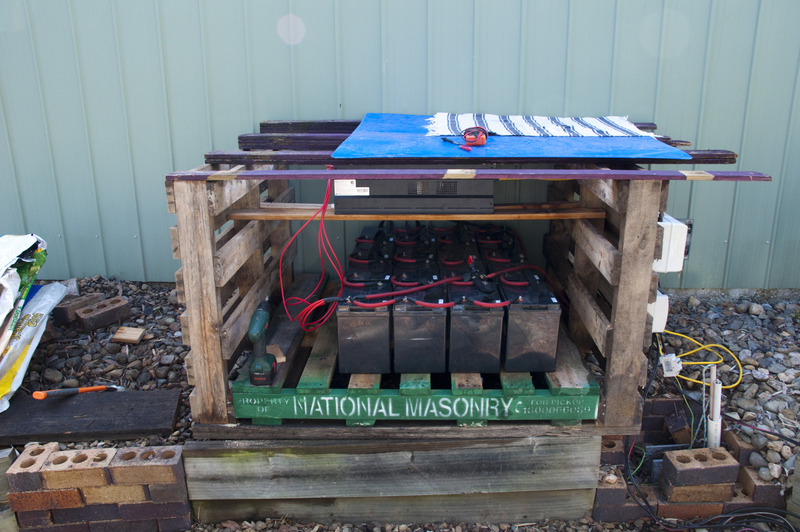 This was primarily to maintain the batteries, and use any power we may have generated. We had limited places to put solar panels so we did what we could Running only a few panels to maintain battery power and state. 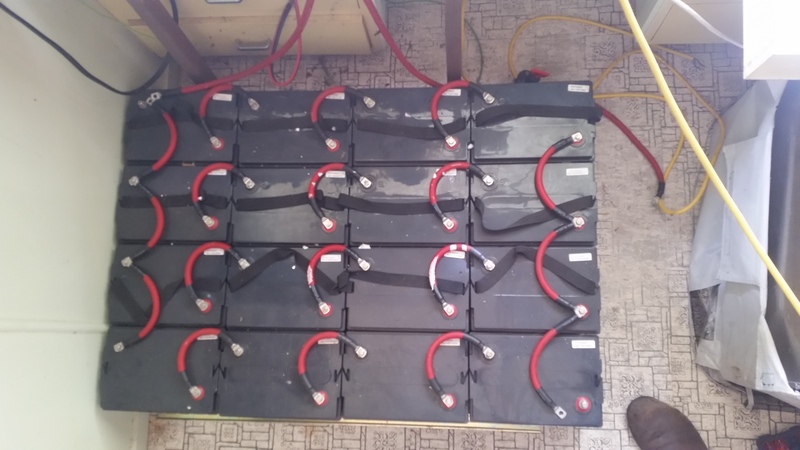 This hand-made system, worked from the moment we plugged everything in and we maintained the batteries without too much trouble, with only a couple of panels(200W) generating power. When it came time to move, we had to dismantle the system, transport it, and put it back together. 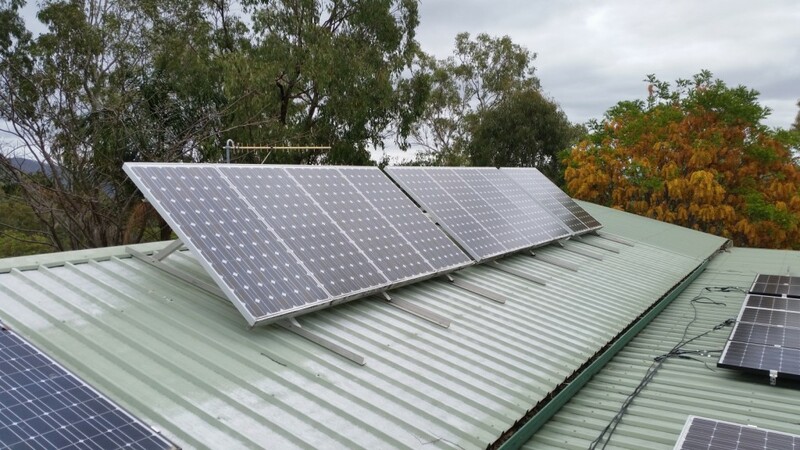 Only a few days after we arrived we had the system up and running, and with a nice flat Colorbond roof attaching the panels and getting the system up and running again was relatively simple. 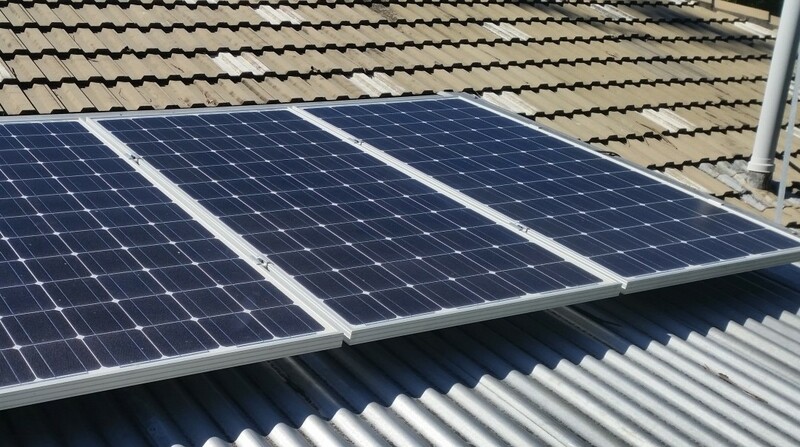 Four panels(200W) went up on the first day, and after the arrival of some new cabling and mounts, 6 further panels were added giving us 2.0 kW of power generating. New system switchboard, attached to new battery box. New battery box being constructed. 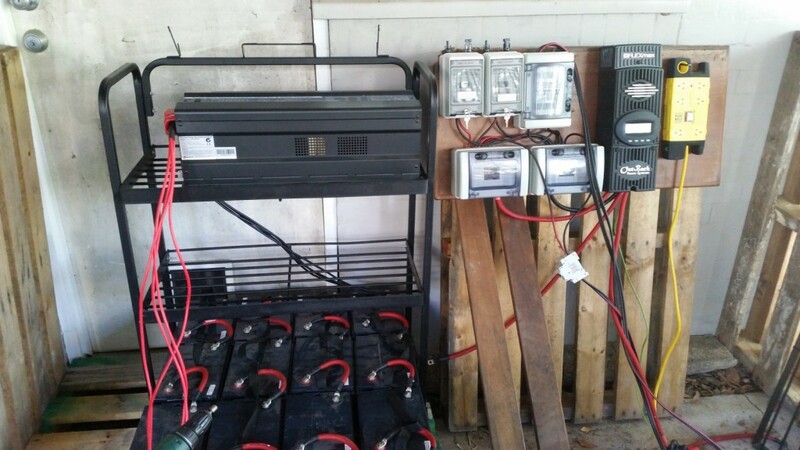 New solar setup and battery box being constructed. With the battery box almost complete, it was time to wire everything in, and maximise our generating power. Temporary(semi-permanent) cabling was added to bring the power from the panels to the control board and batteries. It is our intention to have the house professionally wired to bring the new system power into the home network. At this point though, we are running on temporary cabling to bring the power back to the house. Shortly after we arrived we also checked and cleaned the existing panels on the old system. As they are in excess of 10 years old, they have certainly seen some action. Keeping them clean will help maintain their efficiency. I still find it brilliant that this system, built over 10 years ago, and probably pre-2003, continues to generate store and deliver power after such a significant time. 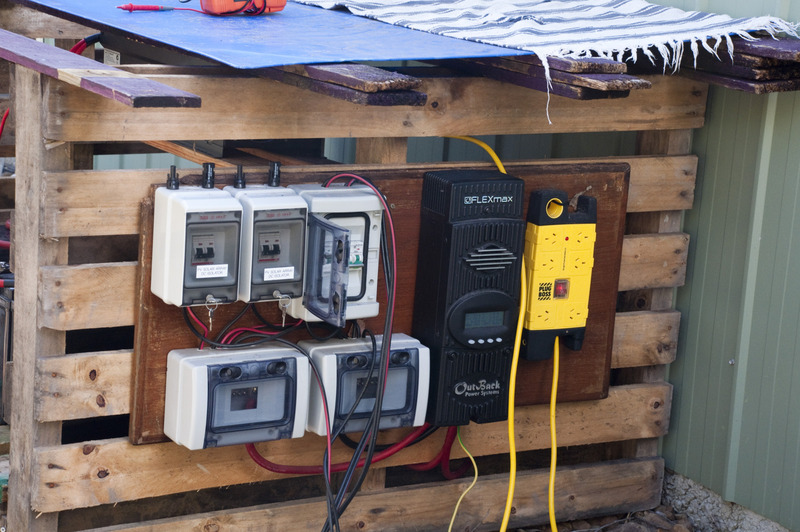 According to the life-expectancy for panels, inverters, controllers and batteries, this system should be near dead and useless. But as is often the case… reality has a brighter view than the technical predictions.